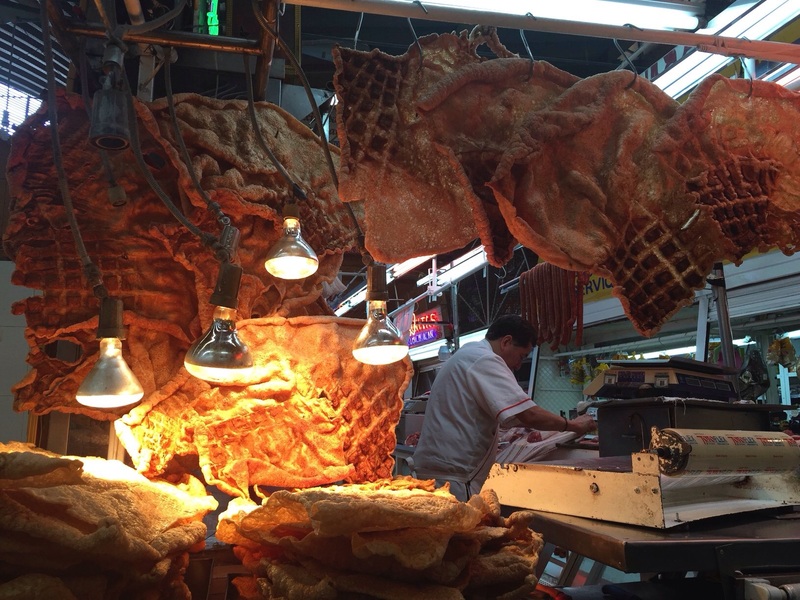 Chicharron in the Mercado Medellin in Mexico City. If you are what you eat then Mexico is probably already in your system. At least UNESCO agrees, inscribing Mexican cuisine in 2010 as an Intangible Cultural Heritage of Humanity. It’s a long overdue recognition, but at least from here on there is no argument about the prestige of one of the great cuisines on Planet Earth. A little comparison is in order. Were Mexico superimposed against the map of Europe, it would span from Greece to the United Kingdom, absorbing the Balkans, Austria, Germany, Switzerland, France, a good part of Northern Italy, Belgium, the Netherlands, eventually reaching a good bottle of Scotch in the UK.